Escape Room Gift Card- An adventure that they are sure to love! Perfect for Birthdays, Holidays, Graduations, Weddings, & Thank you gifts! A Cross Roads Escape Games gift card is a unique adventure that they are sure to love! 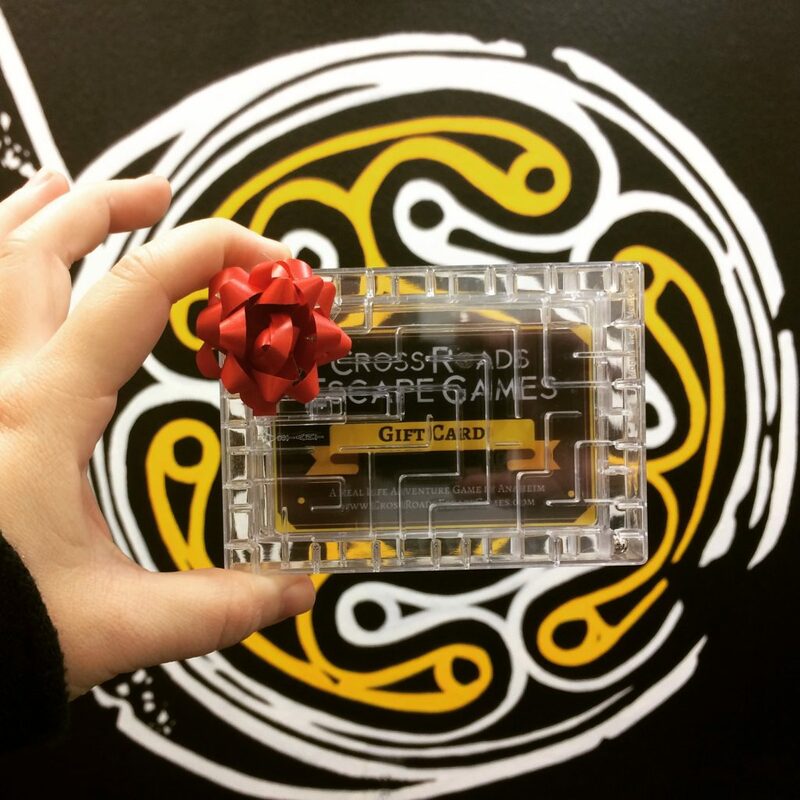 Our gift cards come in a complementary puzzle case that must be solved to retrieve the card! * If you order online you will receive a printable .pdf gift card in your email or you can pick one up at our location in Anaheim. * A minimum of 2 tickets ($70) per gift card is required to be eligible for a free puzzle case. Puzzle cases are limited, and available while supplies last. Have your gift card mailed to you by choosing an option below with a $5 shipping fee. Last day to guarantee Christmas delivery are orders made before December 17th. Each purchase results in 1 gift card code. To order multiple cards, multiple purchases must be made. Click to “ADD ANOTHER” to add additional cards if necessary. If a shipping option is chosen, gift cards will be mailed to the address given at checkout.